Remember that free Thor game that was pretty great? Well, there's one for Captain America. 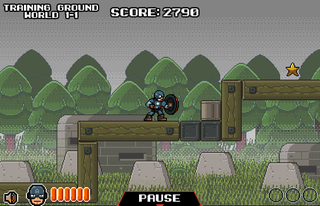 It's also got old-school 2D platforming and some totally cute sprite art. From what I've played so far, it also seems pretty great! So do check it out in the link below.